I have previously mentioned the dental issues we have as a family and my search for natural dental healing methods and nutrients. I was really excited when The Dental Essentials contacted us to review their supplements designed specifically to heal tooth decay and reduce cavities. We got to try The Dental Essentials Complete and the Liquid for my toddler and I, as well as my breastfed infant of course (through my milk). Considering how depleted nutrients are in soil today, the food we eat is not nearly as nutrient dense as it was several decades ago. 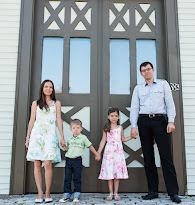 Though nutrients are best obtained through food, it is very hard for today's modern family. Especially when you do not have access to farm fresh products like real milk, eggs, fresh organically grown produce. 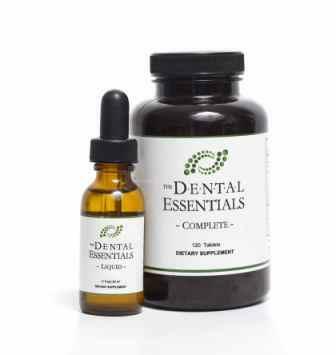 The Dental Essentials adult formula is a combination of calcium, phosphorus, Vitamin D3, Vitamin K2, Magnesium, and Zinc. One bottle is a one month supply (120 tablets, take 2 twice daily) and costs $39.95. It is definitely pricey, it is more than I spend on good quality multivitamins. For me they would last two months because with my multi I already get some of these same minerals. That is something to consider if you want to take them while pregnant or breastfeeding. I was very interested in the Dr, Robert Schroth study that investigated the role of Vitamin D levels in expectant moms and subsequently the rate of cavities of their babies. Though it is a relatively small study, they did find that mothers of children who developed tooth decay had significantly lower levels of Vitamin D. Low calcium levels were also associated with weaker enamel. The liquid formula contains Vitamin D3 and Vitamin K2, it is flavorless and odorless and meant to be added to a calcium source (such as milk). One bottle contains 1000 drops and will last one child about 6 months if used daily (2 drops per day). I think $34.95 for a 6 month supply for one child is very reasonable, considering you would still likely get a multivitamin. I love that it has no taste, I've had trouble getting my toddler to take fish oil, this will be so much easier! Liquid Vitamin D3 is also pretty limited in availability, it's a great find. I am breastfeeding and taking the adult formula, I am very curious to see how Baby T's teeth will come in compared to my first, Baby E. I was pregnant with both of them through the summer, so I had pretty much the same conditions for them in the womb (lots of sunshine and fresh produce). With Baby T I consumed slightly less dairy, but of higher quality. Do you have a baby or child who has some dental troubles? Cavities? Healing cavities is in fact possible, but not something dentists want you to know. 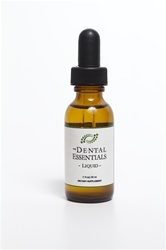 One of you will win The Dental Essentials Liquid ($34.95)! There are two easy mandatory entries and a total of 15 ways to enter, even more if you tweet daily! My kids are older now but I enjoy reading your site for fun. I wish I knew about this product when they were younger. I spent tons of money at the dentist. TONS! I am so interested to try this product, although i wonder how different this one from the brand i have in lemon flavor drops from local store, i never thought D3 is limited to find. I agree it is really important, I'm not very good about remembering it every day though! And of course this is another giveaway that i missed. There are so many products nowadays that you can't even keep track of what's good, what's new, what's old or what's the best thing for your teeth. I hope i'll pay more attention and won't miss the next giveaway. Did you continue to use this product? I'm curious about the long term results. Hi Lisa! Sorry I've missed your comment! I am not sure about long term results as we haven't used it beyond the bottle we had. I think results will vary regardless because each person's dental genetics are different as well as diet. There is no "easy fix" unfortunately.